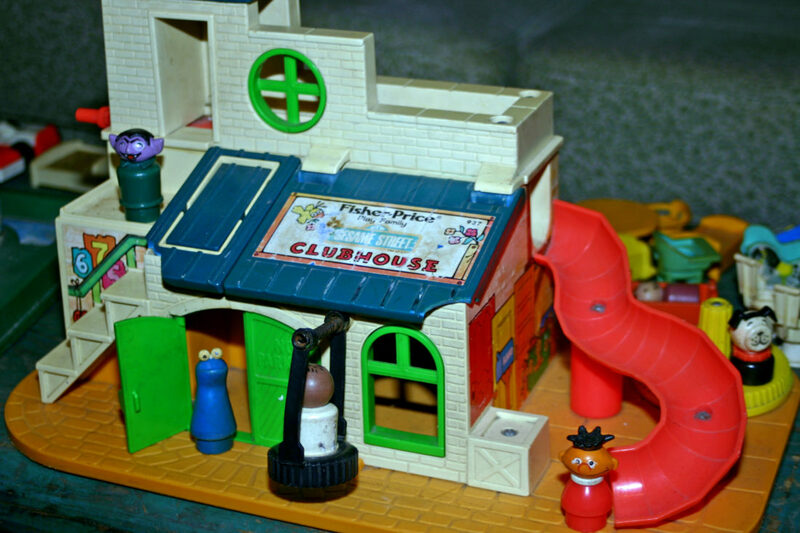 Fisher-Price created dozens and dozens of Playsets, like this Sesame Street Clubhouse complete with Little People from the 1970s. 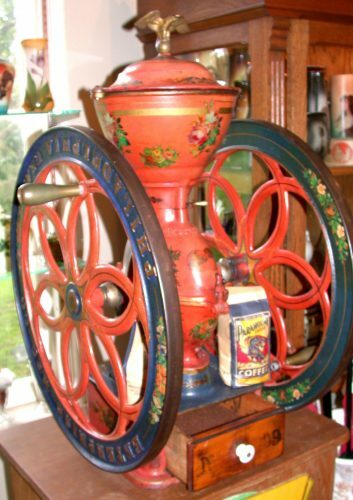 Every baby boomer can recall a favorite Fisher-Price Toy. Maybe it was the Safety School Bus, the Little People Play Family Castle or the classic Corn Popper push toy, but no matter what the shape, these classic toys offer pleasant memories. That’s why so many collectors today seek and save these vintage playthings. It all began with a couple of businessmen who decided to go in to the toy business at a most unusual time, the Great Depression. Herman Fisher and Irving Price decided to form a new company in East Aurora, New York. Fisher had several years experience in the toy trade, and Price was then the mayor of East Aurora. A toy merchant named Helen Schelle joined the men as the secretary-treasurer of the new company. The first line came out in 1931 and were introduced to the market at the New York Toy Fair. These 16 original Fisher-Price toys are now very valuable and can command prices in the thousands of dollars. The original sweet 16 included six pull toys, including Doctor Doodle, a popular duck; along with floor toys, a playset, windups and pop-up toys. All were made of quality ponderosa pine. One of the most popular Fisher-Price creations ever was the Snoopy Sniffer pull toy. Since it was produced three different times (1938, 1955 and 1961), several generations got a chance to enjoy this faithful hound dog. Made of wood with colorful lithograph designs, Snoopy is typical design for FP. He has floppy black oilcloth ears ad a spring tail that wiggles, plus he makes a woof when pulled. Somewhere around five million of these puppies were sold between 1938 and 1964, according to Fisher-Price facts on eBay’s buying guide. During World War II, Fisher-Price turned to more serious production and helped with the war effort, so there was a lapse in their toy turnout, but they were back at it again with the introduction of their first plastic toy in 1950, Buzzy Bee. The 1950s were huge years for Fisher-Price with many famous designs entertaining youngsters again and again. Perhaps you recall the pull along xylophone from 1957 or the Safety School Bus, introduced in 1959, or the Huffy Puffy Train pull along first produced in 1958. Fisher-Price history is easy to learn about today due to hobby books, collector price lists and a terrific website or two. One I like is “This Old Toy,” (thisold toy.com). This site has a complete inventory by year of all toys produced, with photos! “The Fisher-Price Historical, Rarity and Value Guide,” by Bruce Fox and John Murray, is one of the best books for a collector to get their hands on since it offers a history of the company and lists of the most valuable toys plus offers identification information and resources for enthusiasts. 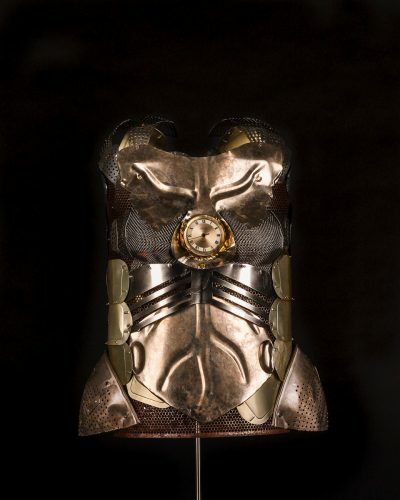 The authors of the 256-page reference book are employees of the company and collectors themselves. Condition, rarity and current marketplace trends are the factors for determining value of these playthings. Finding Fisher-Price toys is something that can be accomplished by attending auctions and scouring all the typical spots like your neighborhood antiques shop, yard sales and second hand shops. Fisher-Price Toys were well made and durable and always entertaining. Many included sound and action. The neat playsets like the Play Family Castle, Little People Parking Garage or the Sesame Street Clubhouse came with all those cute little figures and furniture and offered hours and hours of imaginative play. There is an official Fisher-Price collectors club, too, which produces a newsletter and holds an annual convention. Find out more online at fpclub.org. For comments or suggestions on local treasures to be featured in Antique of the Week, Maureen Zambito can be reached via email at zambitomaureen@hotmail .com or by writing in care of this newspaper.